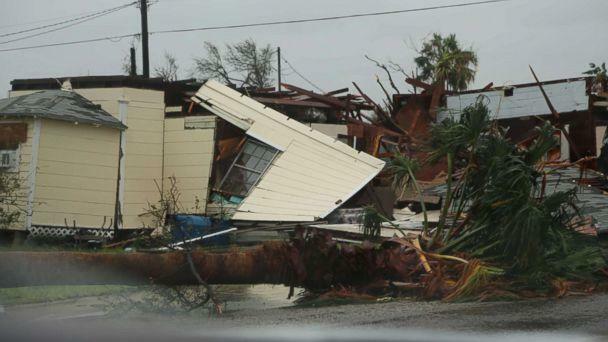 The flooding comes after the hurricane left at least three people dead after it bashed the Texas coast. Buildings and parts of communities are submerged and, in Houston, there were more than 1,000 calls for rescues and people were forced to their rooftops. 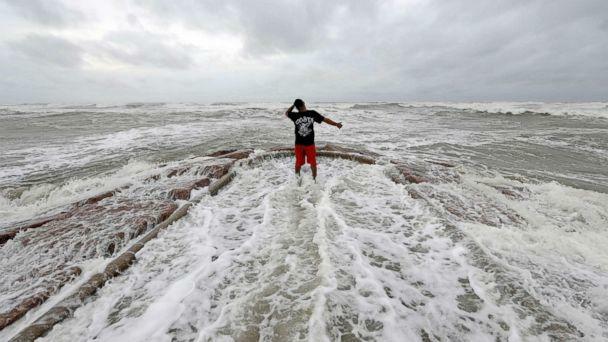 One death was confirmed Sunday by Mayor Bobby Hocking of La Marque, Texas, about 38 miles southeast from Houston on the Gulf Coast. The body of a 52-year-old man was found at a Walmart there on Interstate-45. "At this time it is unknown if the subject passed away from health conditions or due to drowning, there was high water in the area of Walmart last night," the La Marque Police Department said in a statement. Another person who died was in Houston, after a woman was “swept away,” according to Art Acevedo, Houston’s chief of police. 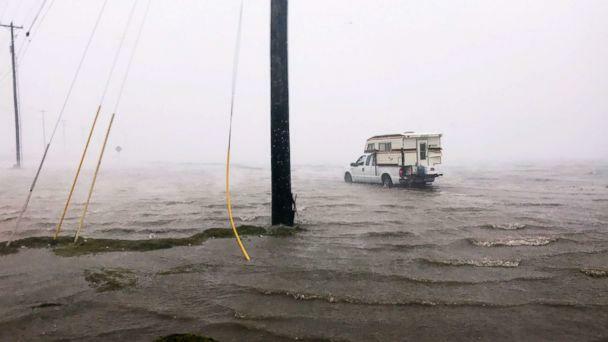 "Sadly, we have lost one female member of our community who encountered floodwaters in her vehicle, got out and was swept away," Acevedo said. 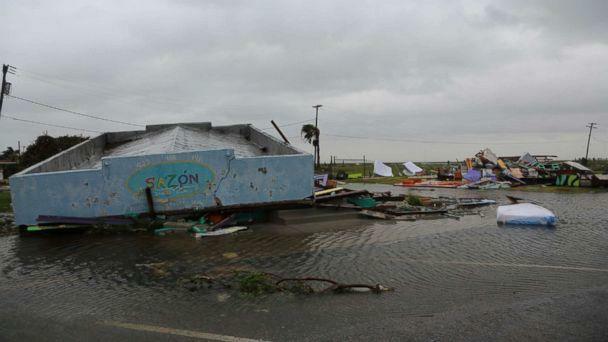 Officials said another person died in the coastal city of Rockport. Meanwhile, workers are scrambling to locate survivors of the deadly storm, and some police departments are even seeking help from local residents in their rescue efforts. The League City Police Department, located about 30 miles south of Houston, posted on Facebook that it was looking "for people with flat bottom or low water boats to assist with rescue and evacuation." "Please send LCPD a Facebook message with name, phone number, location of boat, length and style of boat if you can be mobile with your boat and are experienced in operation of the boat," the League City police wrote. The Houston mayor said this evening that the majority of the city's homeless are off the streets and in shelters. 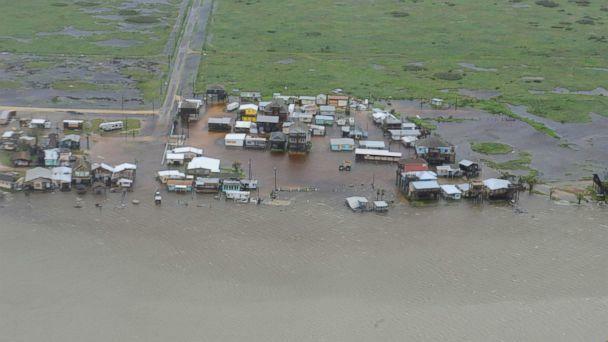 As of late Sunday night, the U.S. Coast Guard said it had conducted more than 200 rescues by air in the area and more than 1,000 rescues by water. Texas Gov. 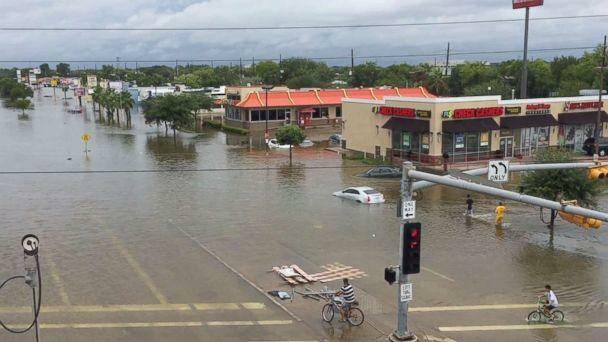 Greg Abbott said at a news conference Sunday afternoon that as the heavy rains are expected to persist, which will lead to even more flooding, people are urged to stay off the roads. Residents are also asked to keep a lookout for tornado warnings, which may pop up in the region in the coming days. Houston Mayor Sylvester Turner said the city is not out of the woods yet. This is only the second day of what could become three or four or five difficult ones, he said, while urging Houstonians not to tire and to remain vigilant. Judge Ed Emmett of Harris County, in which Houston is located, said this evening that as night falls, rescue operations will continue and become more difficult. He urged stranded residents to try to reach their roof if possible, where rescuers can spot them. He said his biggest concern is reaching those who are trapped and getting them to shelters. Dozens of shelters are set up at buildings including churches and mosques, he added. President Trump tweeted about the storm this morning, saying "experts are calling #Harvey a once in 500 year flood," but that the United States had "an all out effort going" in response to it. The response included the deployment of 3,000 national and state guard service members, 500 vehicles and 14 aircraft, officials said. 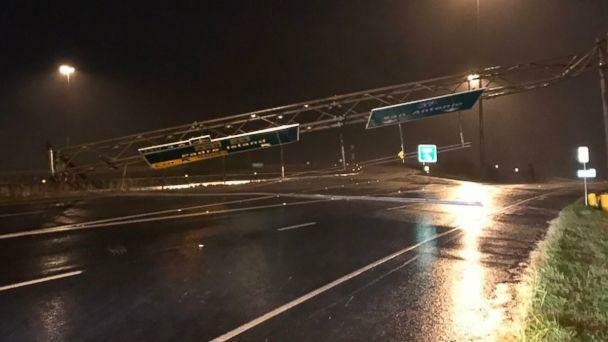 Four hundred people have been deployed by the U.S. Department of Transportation in response to the danger, officials said, and 250 highway closures were established statewide. ABC News' Brittany Borer, Lucien Bruggeman, Mary Bruce, Christopher Donato, Erin Dooley, Melissa Griffin, Michael Kreisel, Jonah Lustig, Daniel Manzo and Brendan Rand contributed to this report.